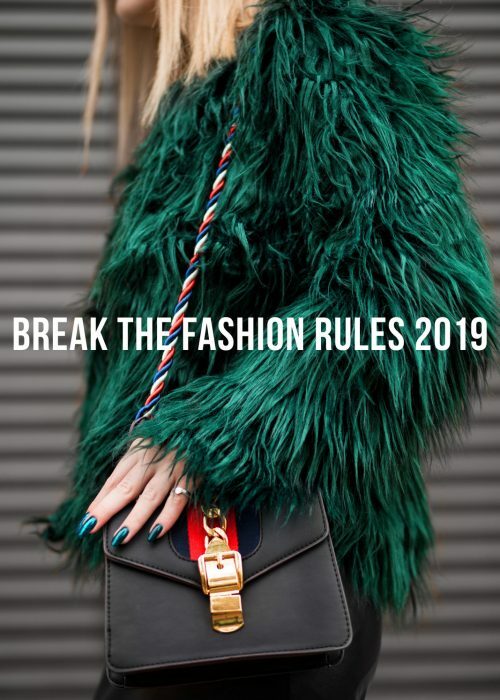 First of all, whatever you do – plan your outfits in advance! How many times haven’t you packed clothes only to end up not using them? Well, too many times, I’m sure! A simple way to avoid this problem though is too plan your outfits in advance. Count how many days you’ll be away, how many outfits you need (perhaps one for the day and a change for the night?). Put together some outfits that works and dare to use the same clothing piece more than once. Like a white t-shirt for day time with denim is always a hit, a white t-shirt with cigarette pants and perhaps a statement necklace for night works perfectly well! So give yourself some time to plan properly. It’s so worth it! Sounding all serious here, but destiny in the context of the geographical spot of where you’re heading (duh)! 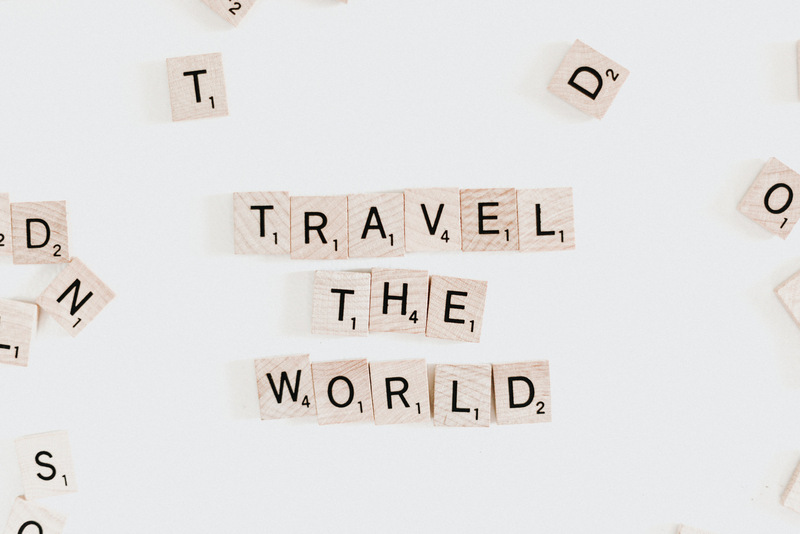 Hopefully you’ll know where you’re going and what the trip will consist of! Is it a lot of walking? Museums? Are you doing a Vegas thing? 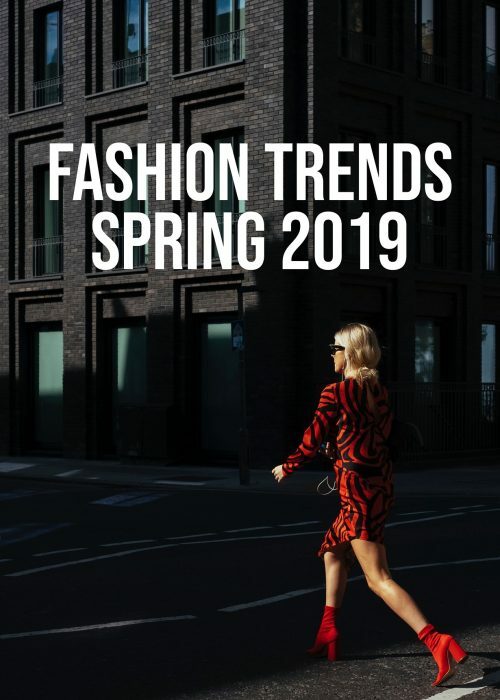 Well, know what sort of activities that are up and it will be a lot eaiser to plan your outfits. Perhaps it’s very causal and cozy or it’ll be all fancy? Well knowing your destiny is sort of knowing the dresscode which is sort of knowing what clothes that will work! 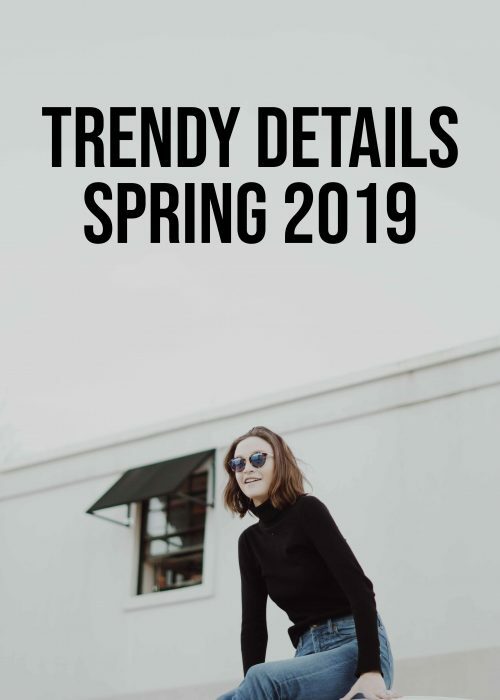 When it comes to creating outfits, and you want to reuse clothes (which I think you should), I have a styling hack for you that’s foolproof: pack after a color scale! I know crazy! But what I do is that I pick a clothing piece in a print with at least two separate color scales in it. If it’s a skirt I’ll choose a top that matches one of the color scales and another top that matches the other scale. THEN (this is specific I know) I choose bottoms after the two tops. One for each color scale! I make sure that I can match the color scales with one another too (they work in the same print, right?). So that is it, I have two different colors (kind of awkward to only be dressed in green in all pictures from the trip huh?). If you’re uncomfortable mixing colors, I suggest reaching for colors that are closely related. Earthy colors works well together and looks rather neutral too! Olive green, camel, copper, beige etc! Another hack is, if you know your traveling company, is to share a clothing piece or two. Perhaps you and your friend are both bringing two identical cardigans that you know you easily can borrow from one another instead? Well, bring one cardigan then! (If you’re not going to use them a lot aka at the same time). This can be done in whatever context you prefer. But jackets, cardigans and scarves are undoubtedly rather neutral and can favorably be shared! Ugh such a boring thing to state, but ever so true! When traveling, feeling comfortable in your outfit is key! You don’t want to wear uncomfortable shoes when you’ve been walking for five hours. Or that dress that is itchy or that skirt that won’t stay in its place (etc etc). So pick the clothing pieces you know will have your back throughout the day/trip! And whatever you do, don’t try new shoes. Or if you do, have a backup plan or tools that will help you making the new shoes work! Also, always pack at least one foolproof clothing piece. Mine is often a maxi dress! It’s elegant, comfortable and kind of cozy!! Folks! 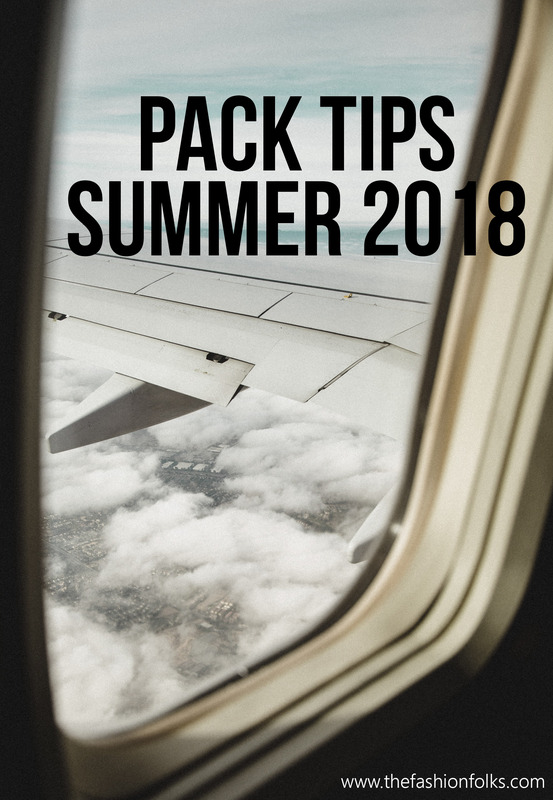 Which one of these pack tips summer 2018 is your favorite? Let’s chat in the comments! I wish I had more travel buddies. Almost my entire group of regular friends are back at home. I’d love to trade clothes with good friends. That was the best during fashion week with friends though. 🙂 I love that tip. Have a wonderful week! I always find it so hard to pack even just for a couple of days because I’m so indecisive! I always change my mind at the last minute, so I end up packing so many options, but you’re right, I hardly ever wear all of the clothing. I love your packing strategy on using a color scale. 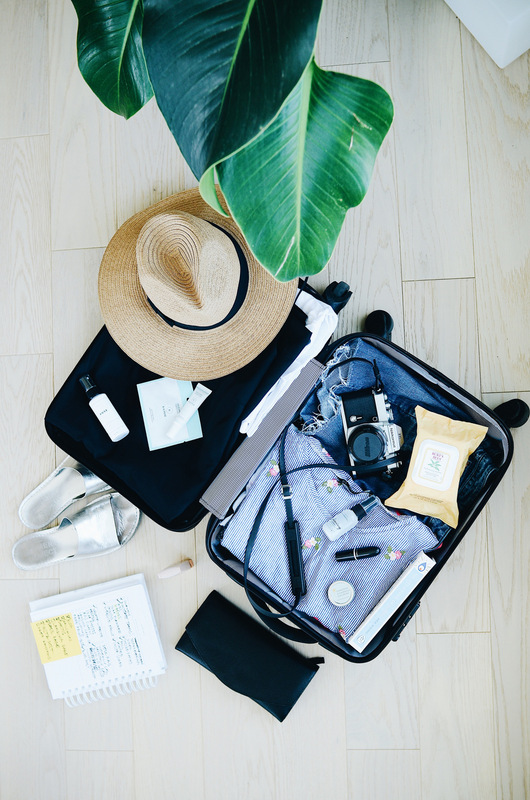 This is definitely a great way to narrow down to what to bring, assuring you’ll always have something to wear that’ll mix and match, making for more space and a lighter carry on. Thanks for sharing, beauty! Your color scale trick is so handy- means you can remix outfits on vacay without overloading that suitcase! These are great tips, especially for me since I always tend to over pack. Thanks for sharing! These are such great tips, especially the one about thinking in terms of color scale. I find that is so key on trips! My husband always makes fun of my meticulously mapped out outfits, all of the same color scale, but it’s the KEY to packing for travel! comfort is key! I can’t agree with you more! every time I try to be overly stylish and pack things that just don’t work for sightseeing for hours I always end up regretting it! Great tips! I’ll definitely be keeping these in mind! Yeah these are certainly things to remember when packing. Great stuff.